I finished two piano lessons this afternoon for Maren and Robin. But the real music was being made on other instruments today. 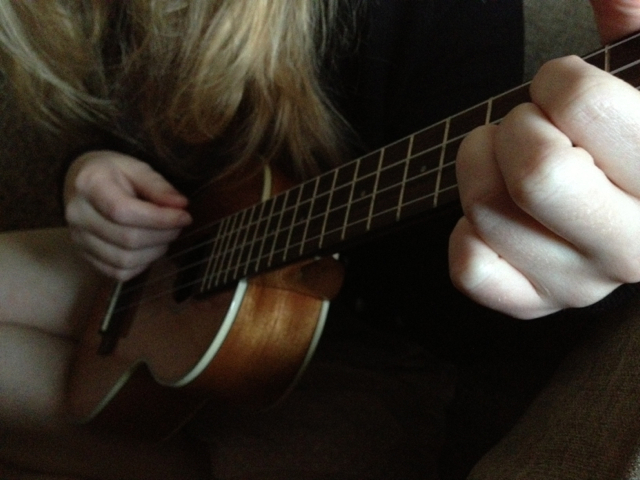 Nicole got this ukulele last year for her birthday. 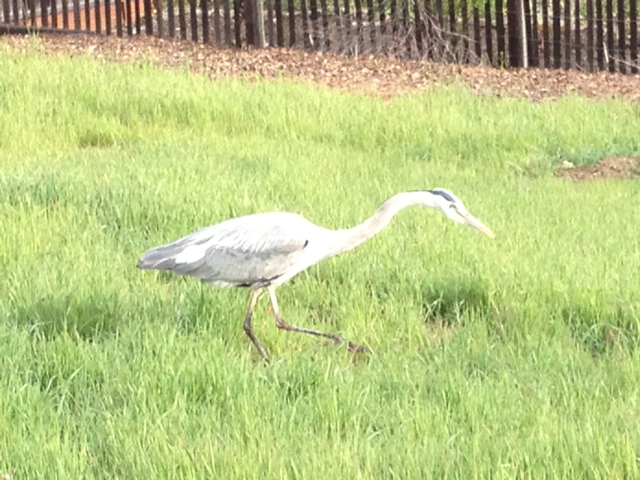 She has enjoyed playing since Quickwater and Sky Mountain ranch summers. 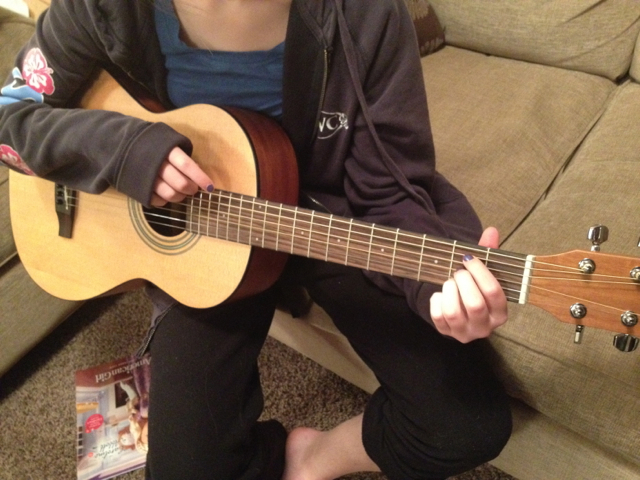 Erik was teaching Camille some chords at lunch, and she picked up the guitar here and there this afternoon. Maren has an amazing musical memory and sense. 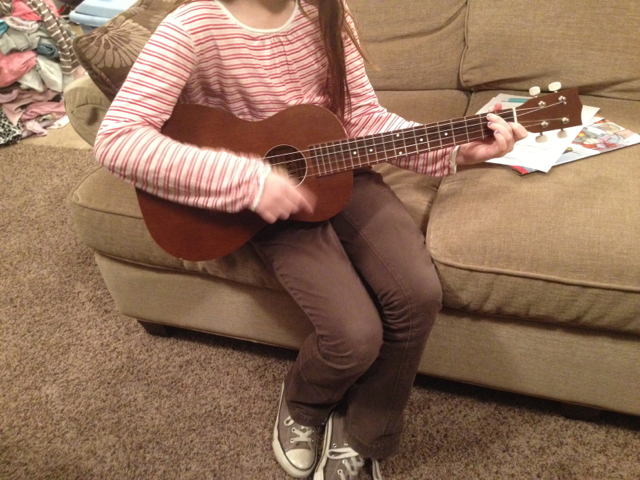 She was learning how to pick a song on the ukulele that she has heard Erik play. 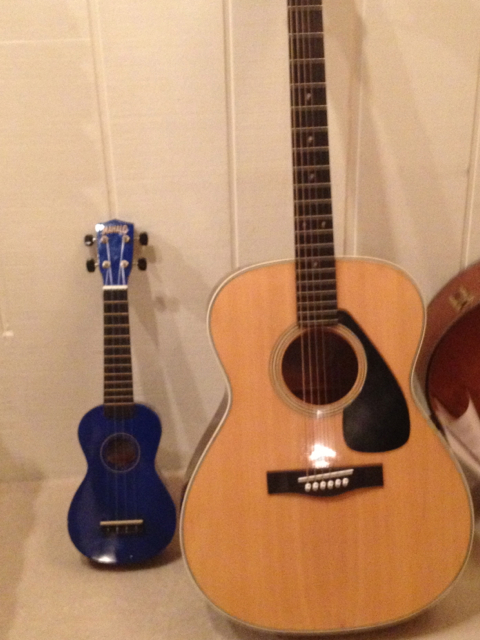 We have a couple guitars and four ukuleles. Almost enough for a family band. Hmmm. That makes me think. Add the piano in, and that is enough for the seven of us. I caught Erik playing tonight. 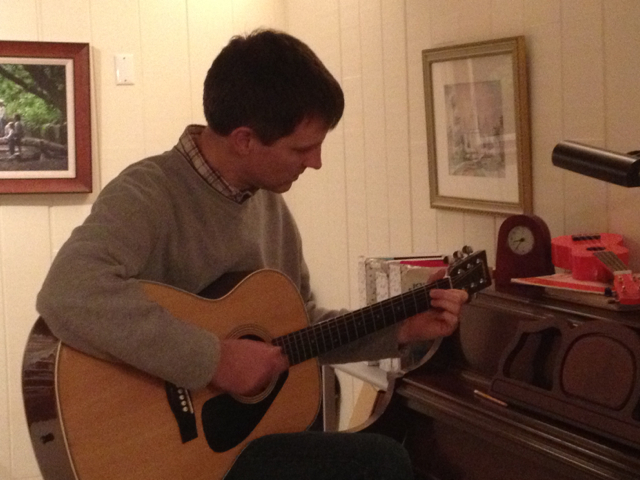 He is the only one that legitimately can play many songs and pick out melodies and tunes. But we are all dabbling and learning. Last summer, Brandon and I took a guitar class at the ranch, and we even learned enough to play a Taylor Swift song and a hymn or two. But my memory has been fading on the chords. I need a refresher course. The kids retain more of that than I do. One thing I love about music is collaborating and creating it together. Stringed instruments can be shared in a circle facing each other. Duets on the piano are my favorite part of learning with the kids. Singing songs brings us together in a way that nothing else quite can.